Dr. Premvardhan is a renowned ophthalmologist. 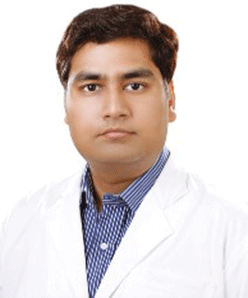 He successfully completed his MBBS in the year 2002 from the All India Institute of Medical Science (AIIMS) the most reputed medical institution of the country. After the completion of his MBBS, he pursued MS from AIIMS, and received the degree in the year 2005. Then, he reserved a fellowship of the Royal College of Surgeons (A) and International Council of Ophthalmology. Dr. Premvardhan has been working and researching in the field of ophthalmology for 9 years. The doctor specializes in treating squint, and performing phaco (modern cataract surgery) and refractive surgeries. The doctor also provides advice for various eye ailments such as black eye, glaucoma, etc. Dr. Premvardhan is an illustrious ophthalmologist and he is beyond comparison in his knowledge associated with eyes.